He will be the most dangerous on issues where the Obama administration has been the most successful. Lewis was describing days like March 7, 1965, when he was brutally beaten in Selma while marching for the right to vote. One of the people who marched directly behind Lewis on Bloody Sunday was Albert Turner Jr., a top aide to Dr. Martin Luther King. In the now-iconic photo of Lewis being clubbed by an Alabama state trooper, Turner can be seen running from the police. Twenty years later, on the 20th anniversary of the march from Selma to Montgomery, Sessions, as US Attorney for the Southern District of Alabama, prosecuted Turner, his wife Evelyn, and his fellow civil-rights activist Spencer Hogue on voter-fraud charges, claiming that they had illegally helped black voters cast absentee ballots. The three were accused of improperly collecting and, in a few cases, filling out the ballots on behalf of elderly and sometimes illiterate voters—a tactic that was frequently used by white candidates in Alabama but never prosecuted. Sessions was the first US Attorney to charge civil-rights activists with voter fraud since the Voting Rights Act became law. The trial occurred in Selma, of all places, and the jury acquitted the defendants of all charges after just three hours of deliberation. But there’s little evidence that Sessions has changed. Despite pledging “aggressive enforcement of our laws to ensure access to the ballot for every eligible American voter,” Sessions stuck by his characterization of the Voting Rights Act as “intrusive” and said “it was a good feeling” when the Supreme Court gutted the law. He said that voter-ID laws were “OK” and don’t “appear to be” discriminatory, even though courts in North Carolina and Texas have found such laws to be intentionally discriminatory against black and Latino voters. 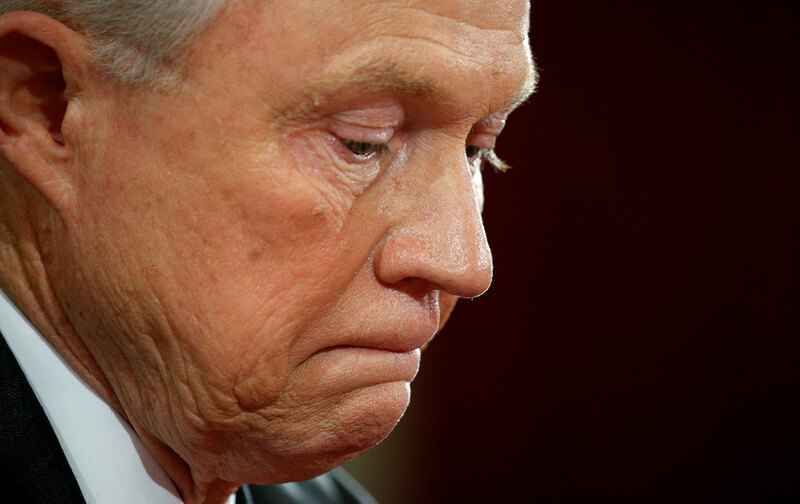 When Sessions was pressed about the court decisions, he claimed that he was “not familiar” with them, despite their being among the highest-profile cases filed by the Obama Justice Department. In one of the most revealing exchanges of the two-day hearings, Minnesota Senator Al Franken (by far the best questioner of Sessions) asked him about Trump’s debunked tweet that “millions of people voted illegally” in 2016. “Do you believe that millions of fraudulent votes were cast in the presidential election?” Franken asked. “I do believe we regularly have fraudulent activities occur during election cycles,” Sessions replied. By perpetuating the myth of voter fraud and vowing to “ensure the integrity of the electoral process,” Sessions was laying the groundwork for future voter-suppression efforts. As Trump’s attorney general, he could be disastrous to voting rights in a whole host of ways. He could support a federal voter-ID law as well as a proof-of-citizenship law for voter registration, which would disenfranchise millions of eligible Americans. He could pressure states to purge their voting rolls in discriminatory and inaccurate ways and force US Attorneys to prosecute bogus cases of voter fraud, as happened during the George W. Bush administration. He could switch sides in cases that the Justice Department is arguing under the Voting Rights Act and question the constitutionality of its remaining parts. Sessions will be the most dangerous on issues where the Obama administration has been the most successful, such as voting rights and criminal-justice reform. As a US senator, he “is one of few Republican legislators who does not support bipartisan efforts to reform the nation’s criminal justice system,” according to the Brennan Center for Justice. Sessions has opposed bipartisan legislation to reduce unnecessarily long sentences for nonviolent crimes, as well as the Obama administration’s efforts to end mandatory minimum sentences for certain drug offenses. He has criticized the consent decrees between the Justice Department and cities like Ferguson and Baltimore to curb police misconduct. He testified that “law enforcement has been unfairly maligned and blamed” three days before the Justice Department released its scathing report on the Chicago Police Department, which chronicled widespread violations of the Fourth Amendment. As Lewis testified, Sessions would take America back to a time when the government was all too often on the wrong side of civil rights.